Sweet and tangy, tamarind is one of the widely used spice-condiments. Each pod has a hard, outer coat (shell) encasing beaded, deep brown, soft pulp. The fruit flesh in turn envelopes around 2-10 hard, dark-brown seeds. Inside the shell, this edible fruit pulp is held together by extensive fiber network that runs its entire length from pedicle to the tip. Let’s see some of the amazing health benefits of tamarind. Tamarind fruit contains certain health benefiting essential volatile chemical compounds, minerals, vitamins and dietary fiber. Combinations of herbs and spices mixed with tamarind powders are used by herbalists and Ayurveda practitioners for various natural treatments. Male infertility vary from unhealthy lifestyle to addiction to alcohol, smoking, etc. One of the natural remedy for infertility is to cure with a tangy and mouthwatering taste of Tamarind, which can give you sweet results by curing infertility from its root. It is also known as partially dried fruit having power to cut down cold, cough, fever, and even nausea during pregnancy. Besides all other benefits of tamarind, it is really helpful to cure infertility in men. Take seeds of tamarind in one bowl, take them out till seeds cover gets removed from the seeds. Now squash all the seeds and fry them in pure ghee. Mix same amount of sugar in the cooked mixture. Daily consume prepared mixture around one spoon daily to cure infertility in men from its roots in short period of time. Pulp of tamarind acts as a laxative and is an excellent remedy for sluggish bowel movement. Topical creams containing tamarind are suitable for wrinkle management as tamarind is a rich source of antioxidants, including vitamin C and beta-carotene. Being rich in Vitamin A, the supply of beta-carotene in tamarind helps ensure eye health and normal vision. Tamarind pulp is also fiber-rich and Tamarind paste provides about 3 grams of fiber per tablespoon. Being rich in fiber it improves digestive system. This fruit pod is loaded with minerals and vitamins essential for red blood cell production and healthy cardiovascular function. Tamarind is an excellent home remedy for persons with bile problems. Tamarind juice is used as a traditional medicine for jaundice sufferers. 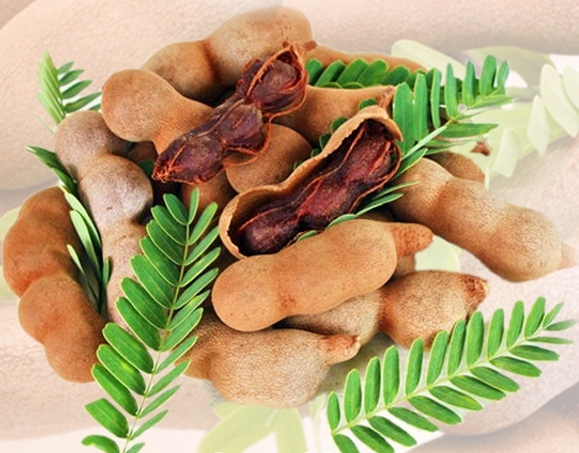 Fruit extract of tamarind is consumed because it acts as a natural blood purifier.